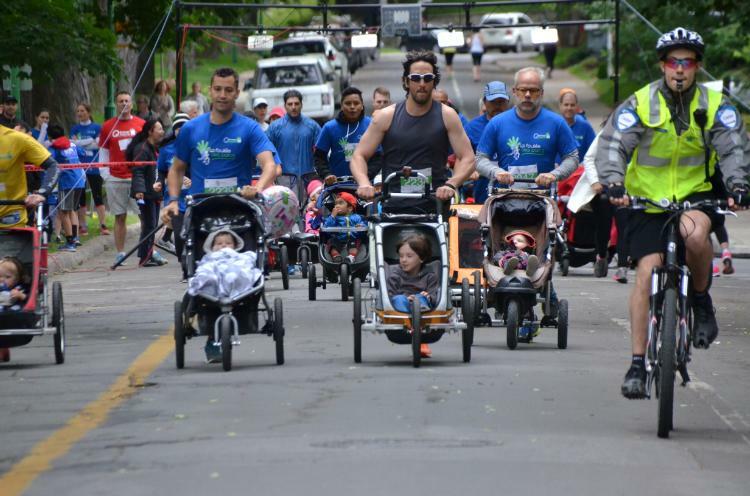 The Foulée des Parcs races all start on Outremont Avenue, between the Elmwood and Saint-Viateur avenues. Consult the interactive map to make your way from the Outremont Metro to Outremont Park. 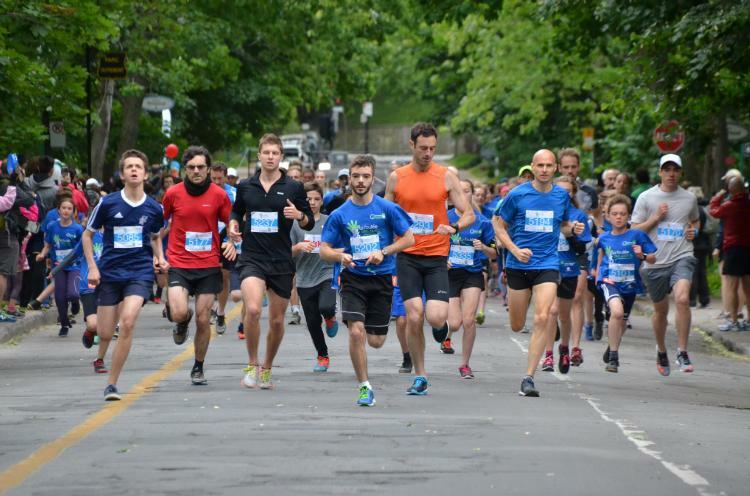 All runners arrive in Outremont Park. Water is offered on the race course, as well as a snack at the finish line. COURSES: Eight different races ensure that everyone can get their kick: 1 km, 2 km, 5 km and 10 km. There is a 2 km race with strollers, to seniors’ walks (2 and 5 K) and there is even a “Family & Friends Relay Challenge” 4x500 m race! 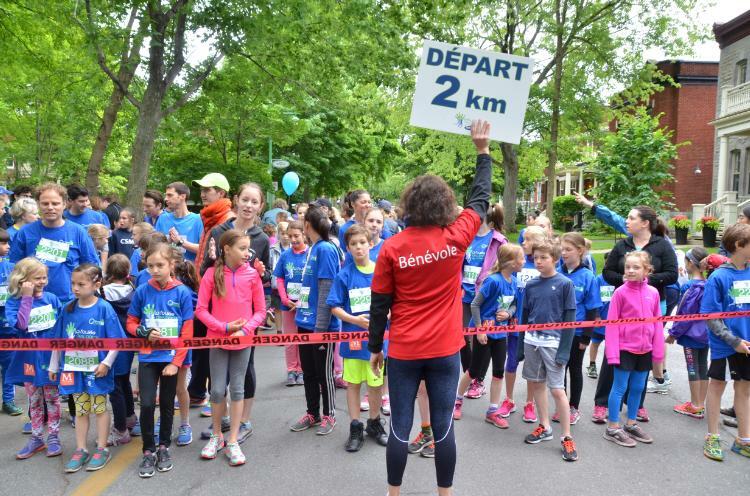 This longest race of the event will impress experienced runners with two short inclines on Bernard Avenue, and its crossing of four scenic Outremont parks. It is in fact a double loop of the 5 km course. Free of traffic impediments, you will run through some of the most picturesque streets of the neighborhood. Water stations will be at the 3 and 8 kilometer marks, as well as at the finish line. Click here to print the route. Participants must be at least 12 years of age in 2019. To see the course on Runkeeper, click here. To see the course on Strava, click here. If the 10 km seems a bit too challenging, the 5 km is for you. A challenging yet doable route for many, it includes a short incline on Bernard and the discovery of four scenic parks of the borough! There will be a water point at the kilometer 3 and 8 marks. Click here to print the route. 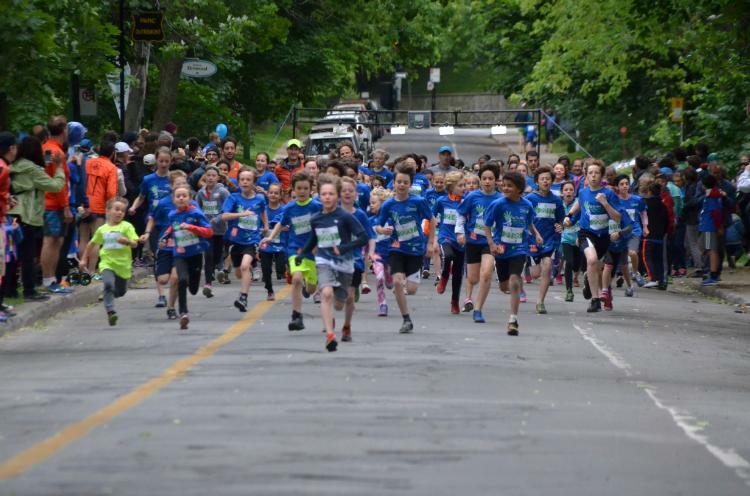 For the route on Runkeeper, click h.
This race will bring all ages. The route has almost no gradient and the distance is widely accessible. Most can run or walk this distance. Unless you have medical conditions all the non-initiated, but wanting to participate in an organised race should not hesitate to take part in this unique setting! Click here to print the route. For the route on Runkeeper, click here. For the route on Strava, click here. For the route on Runkeeper, cliquez ici. For the route on Strava, cliquez ici. This fast 1km for the older kids will certainly provide excitement for these ‘big kid’ participants. For our most little runners we have the 1km, 3-5 years old race. Safety is ensured throughout the length of this route, allowing your children to run the full distance on their own. While it is possible to accompany them on the route (you must sign up as an adult companion), the itinerary is conceived so that you may easily follow and encourage them from the sidelines. Click here for the route on Strava, click here. This relay race is open to 4 members of a family or group of friends, from 5 years of age and up. There is no age limit for adults! This race is specifically designed to allow you to have fun! The race consists of 4 X the 500 m course (relay). Each runner must make a distance of 500 m alone (unaccompanied). It is an opportunity to excel while having fun with family or friends. The team can be 4 of the same family, from grandparents to grandchildren, or friends, whatever your age. Each participant will run 500 meters on a 2 km relay. How do you win? By running fast! The Foulée promotes perseverance, creativity, participation. This year, there will be three first places: the fastest team, the team with the biggest age difference between the participants, the team with a certain “grain of madness”. So, from the oldest to the youngest, from the fastest to the craziest, you are expected to show your top form!